3 Withdrew or were ineligible before the start, leaving 76 starters. In that case, barring any withdrawals, just one more sign up is needed to make the new online world record. Already in @ 71. Over to you Lonello - Are you a man or a mouse? 100 min left for the '' gold last minute '' sign up ! 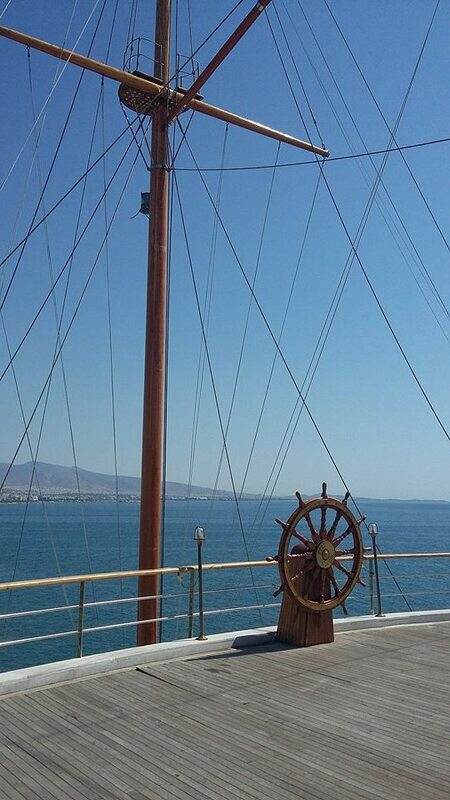 The ship '' 3rd WCO '' is ready for the departure . Hurry up to be on board! eddiemo0915 from USA is the 74th and ''gold last minute '' sign up. The 3rd WCO has begun! The WCO team is very pleased and honored by the amount of sign ups this year. Thanks for the trust and making this event as great as possible. With 74 sign ups and 10 different countries the original goal of uniting the playerbase, both on- and offline, worldwide, seems to be succesful iniative. And some more news from the WCO here: we will organize another edition of the Stratego Wizard to celebrate this record breaking WCO3. The Stratego Wizard is a skill quizz that shows how much people know about Stratego. It will involve predicting matches and other things relating to Stratego and the WCO tournament. We are planning 4 or 5 rounds only for this quizz and everyone can attend. This means you don't have to participate in the WCO to play in the Wizard. As soon as the rules for this edition of the Wizard and the first questions for this quizz are prepared it will have its own thread. As one of the organizers I am very happy that we hit 74 players. It is extra nice that the last player was eddiemo0915, we discussed admitting him to the tournament because he is clearly experienced enough to use the www.stratego.com interface , but he did not have the 250 ranking yet on Thursday. However he managed to hit 256 before the end of the signup period and signed himself up with his forum account like all other admitted players. A warm welcome to him from me in his first WCO and as the golden player! If you want to put a smile on his face and reward his effort to get his rating up in time, please like this post. I am pretty sure he will read it. With a few more days to go , the signups hit now well over 60. At the moment a few players that signed up did not meet the criteria. They didnt use their forum account or did not have 250 rating yet. 2 Players are aware of the interface of stratego.com. 250 ratings means they have played some games. Some players that just registered could be excellent live players, but to play in the WCO we use the site and it takes a few games to get used to the pieces, the way the mouse cursor works with selecting pieces etc. Im looking forward to what seems to be the biggest WCO yet. To participate at a tournament you can change the rule as any player has to play 10 games on 'stratego.com' or must have a minimum rating of 250. On this way an experienced stratego player can enter very easily in the tournament and have after the played games the experience - mouse moving, use pieces, setup, .... - of 'stratego.com' to play here (an interested player who was uncertain will play some games more for his own). We're always looking for ways to improve the WCO. The WCO team itself wasn't happy the way this rule played out - you can expect it to be altered for next year's WCO. This will be an exciting week for WCO3 content. The new pairing for round 5 just went up, new questions for the Stratego Wizard and there will be 2 interviews published shortly. First we have the only two players who have not yet lost any points facing off against eachother. 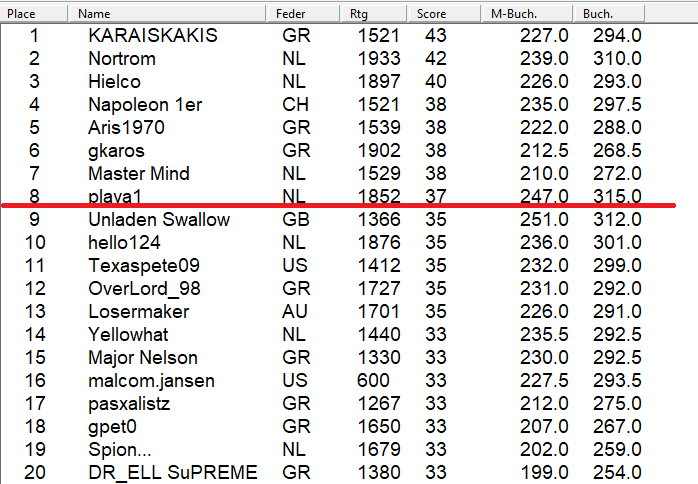 Unladen has beaten 2 Dutch top players already this tournament. Next we have Hielco being paired up against the 3rd undefeated (1 draw) player so far. Hielco has not beaten any Dutch player yet this WCO, while Nortrom has not played against any Dutch player this WCO so far. Our 3rd game of this round will be Overlord taking on Napoleon, according to our archives this will be the first time these two meet in a tournament. Next game will be a match that has been played twice during tournaments (according to the archives), with KARAISKAKIS being the victor twice. Can KingTubby turn the tides? KingTubby has played 3 German players in a row, followed by two consecutvie games against Greek players, this will be the 3rd consecutive game against a Greek player. With 8 potential champions we enter the end stages of the 3rd WCO, is it Gkaros who will defend his title? or will someone else take it away from him? The current #1 of the standings, KARAISKAKIS, takes on the current #2, Nortrom. This match will most likely decide who will play for the title in the last round. The current tournament score between these two players is 6-0 in favor of Nortrom, however KARAISKAKIS is currently playing one of his best tournaments in his Stratego carreer so the outcome will be unpredictable. Next we have the guy hoping for a draw on board 1, Hielco, taking on Master_Mind. The current score between these two Dutch players, in tournaments is 2-0 in favor of Hielco with their most recent match being not too long ago in the winter tournament. We suggest Hielco best not underestimate his opponent who recently has had some good results in live tournaments. The next upcoming battle will be between the winner of the 2nd WCO, Gkaros and Napoleon 1er who recently sent playa1 to the rehab bracket of the winter tournament. Records show that these two have not yet met in a tournament, as both players have accumulated 38 points thus far, we are curious to see the the result between these two. Will Napoleon be eliminated from the title race, or will Gkaros's hopes of succesfully defending his title shatter? Yet another promising match appears with Unladen Swallow taking on Aris1970, while Unladen Swallow is no longer capable of winning the WCO, he may still have a very good finishing result, however a win against Aris1970 is very much required. On the other hand, Aris1970 must take the win from Unladen Swallow should he want to remain hopeful of winning the WCO. Records show that Unladen Swallow and Aris1970 played only once in a tournament, Unladen Swallow was the victor in this game. Will Aris1970 be capable of turning this situation into a 1-1 tie? We're curious to find out! Last but not least we have Losermaker taking on Playa1, while Losermaker has been eliminated from the title race, he must still take the win from Playa1 should he hope for a top 3 ending. For playa1 this is an absolute must win match if he wants to have a slight chance of taking the WCO title home. Losermaker being one of the happy few having a 2-1 tournament score over Playa1 thus far, this appears to be yet another promising, unpredictable match. How can playa1 still win the tournament? He can get at most 43 but in case of a draw between KARAISKAKIS and you, the former gets to 46, no? Edited by TemplateRex, 23 January 2018 - 06:11 PM. Two rounds remain, meaning he could get to 37 + 12 = 49.